I love Christmas! I love the glitter, lights, music, and of course movies. Christmas has always been a magical time! I have always watching the Hallmark Christmas movies for years, but every year it seems the list of new movies gets longer. I realize that these movies are not for everyone, but they are the perfect amount of fluff that I need every Christmas. Here are my 7seven favorite Hallmark Christmas movies. A Season for Miracles – This movie is a part of Hallmark’s Hall of Fame Collection. Emilie is on the run with her niece and nephew, their mother was hospitalized for a drug overdose and the kids are about to get put into the foster care system. To prevent that Emilie takes the kids and flees town. With the help of an angel they find an abandoned house in a small town to spend the night. The next day Emilie is mistaken as the owner of the house and for the sake of the kids she doesn’t correct the mistake. A local cop helps the family of three out and begins to have feelings for Emilie. 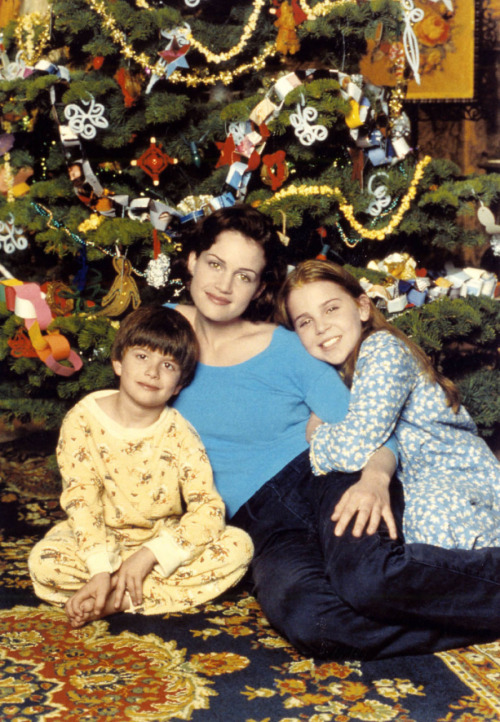 This movie is beautiful, touching, and having been made in 1999 is one of the first Hallmark Christmas movies of its kind. Christmas Next Door – April loves Christmas but her neighbor Eric wants nothing to do with it. However when Eric’s mom gets “sick” he has to take care of his niece and nephew until his sister is back in town, and he is forced to get into the Christmas spirit. Since his Christmas spirit is lacking he must depend on April to help him. Fiona Gubelmann and Jesse Metcalfe are cookie cutter perfect in this movie, they have great chemistry, and even though there is a lot of overacting it is the perfect amount of fluff. Rocky Mountain Christmas – Sarah had a very public breakup when her boyfriend dumped her to be with an actress. To escape the media she goes home to her Uncle’s ranch in Colorado, where Christmas traditions are being abandoned since her Aunt died. On her first day home, a famous actor Graham shows up looking to learn about life as a ranch hand. Having been burned recently by actors, she is reluctant to trust him. Kristoffer Polaha and Lindy Booth are a great match in this movie, I have loved them both separately over the years, and I love them even more together. This is just such a feel good movie, that I could watch it none stop. A Very Merry Mix Up – Alice Chapman is recently engaged to Will Mit chum and is going home with him to meet his family at Christmas. Will is forced to take a later flight due to business so Alice must go on her own. When she arrives she connects with a man who says his brother is William Mitchum, unfortunately it isn’t her Will but because of an out of commission cell phone it takes some time to figure that out. When Alicia Witt is involved in a Christmas movie you know it will be good, there will be overacting but it is so charming you can’t help but love it. Romance Reindeer Lodge – Molly wins a trip to Jamaica over the holidays the only problem is it is the one in Vermont not the Island. In the airport, on the plane, and in Vermont she is forced to share every experience with Jared a solo traveler who is headed to the same lodge as her. Molly works to get back home to Chicago but is forced to spend her holiday at Reindeer Lodge a sanctuary for Reindeer that is under financial strains. Nicky Whelen and Josh Kelly have amazing chemistry, the acting is subtle, and the movie is the perfect level of Christmas magic. Christmas Joy – Joy is up for a much deserved promotion, but when her Aunt and only family falls and hurts herself, Joy is off to her hometown. Joy’s Aunt is the reigning champ of the towns Cookie Crawl and with her injury is unable to continue on. So Joy volunteers to stay in town and fill in, with the help of Ben the son of her Aunt’s best friend, Joy finds out just what it takes to run the Cookie Crawl. Danielle Panabaker and Matt Long have great chemistry and this movie is easily my favorite from the 2018 movies this far in the season. On The Twelfth Day of Christmas – Maggie a journalist has always remembered the time her college crush Mitch drove her home for Christmas. When Mitch moves back to town Maggie finds out the Christmas loving man she once knew is now a scrooge she knows just what to do. Maggie begins sending him packages in the mail with the intention of following the Twelve Days of Christmas theme. Unfortunately the plan backfires when Mitch’s gifts are talked about over the air and Maggie’s boss puts her on the job of writing the story. Brooke Nevin and Robin Dunne are a great team. These movies are not listed in any order, in fact I had a hard time picking just 7 movies for this list. Let’s face it Christmas movies are ALWAYS over the top, and at least once during every movie I will roll my eyes, but I still love them.